You have just returned home from a fantastic trip. You are reconnecting with friends, unpacking bags, and sorting through photos, ready to get back to your routine. But wait! You have one more task to do to make your trip complete: leave a review. 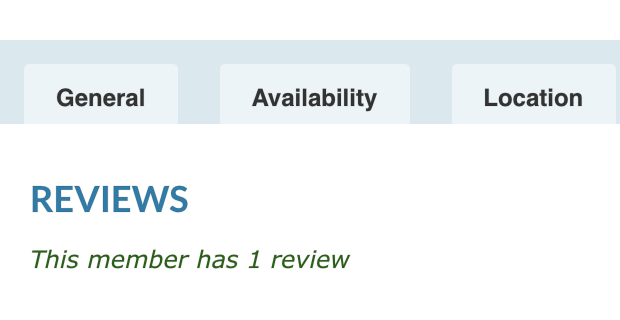 Leaving a review is one of the best ways to contribute to SabbaticalHomes.com. Reviews benefit everyone and provide valuable insight into homes and people who make up our community. If you had a delightful experience visiting a home, take a few minutes and leave comments about the home itself, its amenities, location, interactions with the owner, and any other highlights. Conversely, if you had a negative experience, it is equally important to give fair, constructive feedback to let everyone know what to be aware of if they engage with this owner. Even if the listing is currently deactivated, leave your review for the future. As an owner, it is helpful to leave reviews about your tenants; mention how responsive they were in communicating, the condition of the property upon departure, and if payments were made in a timely manner. The comments will appear on the listing under the About Member tab, and will be stored in your account for future reference. Now, you can start planning your next trip!